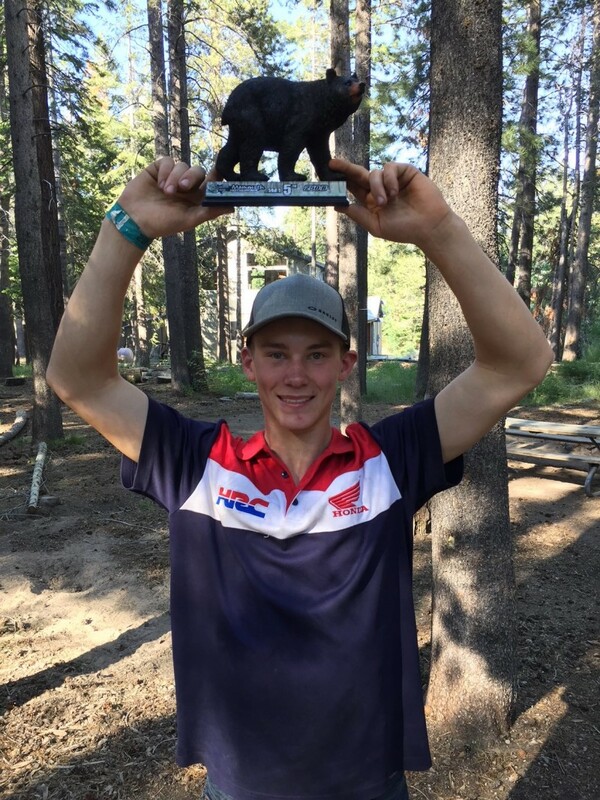 BCP Pro Circuit Honda Junior Development Team rider Dante Hyam turned a lot of heads over the weekend as he participated in the annual Mammoth Mountain MX event in California, USA. 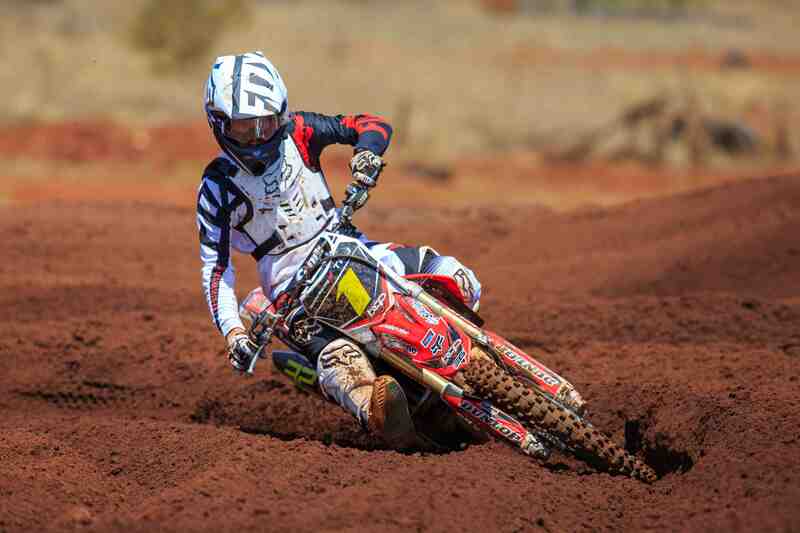 Racing in the competitive 250cc B class against some of the best Amateurs in America Hyam qualified for the stacked 40 rider main event after finishing fifth in his qualifying heat race. When the gate dropped for the 250 B main event Hyam exited turn one in 6th place and made his way into 3rd place for the majority of the race. 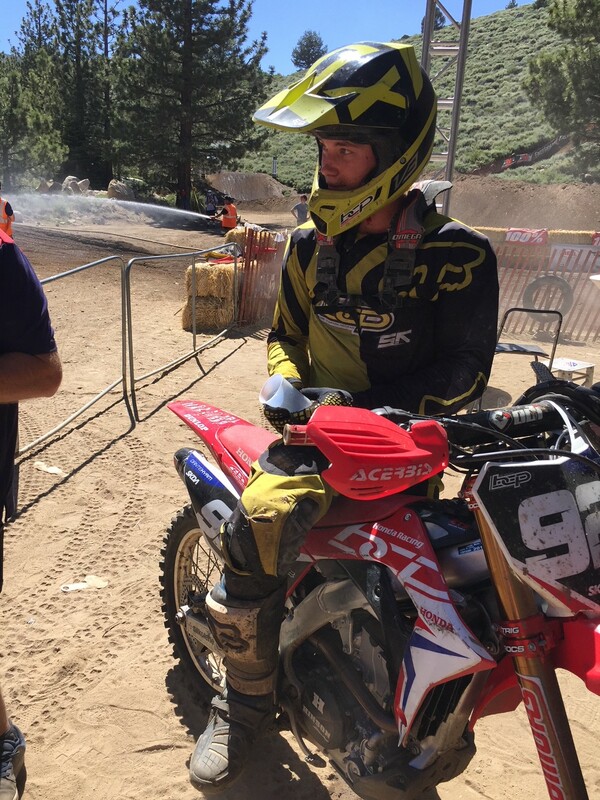 It was only in the last two laps that both of the factory Geico Honda Amateur Team riders Jo Shimoda and Carson Mumford made their way past with Hyam battling right the way to the chequered flag for an impressive 5th place. “This has been such an amazing experience,” said Hyam after the event. Team manager Lee Hogan is blown away with his young star’s efforts in America. “To finish inside the top 10 in this field is a good effort. But to finish top 5 is so impressive,” said Hogan. Dante will once again join his team-mates back here in Australia as they tackle the business end of the season.